All circumstances differ, as do the emotions endured. Many go home while their baby remains hospitalized for days, weeks, and even months. 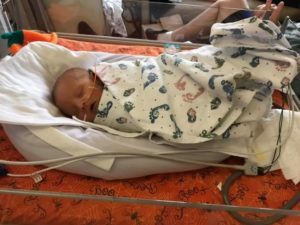 The Cradling New Life Mission is to address the needs of families enduring the struggles of pre-term labor, premature birth, or other ill little ones in Iowa hospitals' Neonatal Intensive Care Units by raising awareness and establishing a unified footprint toward their needs. 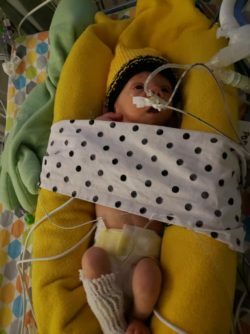 Jennings was born at 32 weeks and has been through a lot over the past couple of months. He had to have a major heart surgery and we would love for everyone to keep him and his family in your thoughts and prayers!